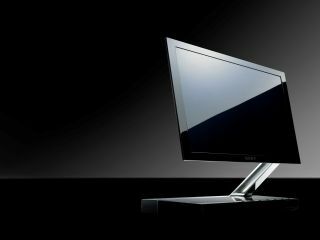 CES 2010: Sony prepping new OLED TV? Sony looks set to offer up another helping of OLED TVs, with rumours that the company is looking to unveil a brand-new line-up at next year's CES. A document has been leaked which reportedly unveils Sony's TV plans for 2010/2011 and at the bottom of the list is something which is described as a KDL-ZX Series OLED. Currently, Sony's ZX range consists of its edge-lit LED TVs – these come with MotionFlow 200Hz and are the company's thinnest large-screen televisions. The only OLED TV the company has released – and still the only one on the market until LG releases its offering – is the 11-inch XEL-1. If Sony is committed to the technology (and there was news that it was wavering) then unveiling a new screen at CES would fit the usual timeline of updating product lines. The supposedly leaked pages are said two be just to of a 24-page document. If this is the case, then expect a mountain of AV goodies to be released by the company over the next year. And if it does turn out that Sony is releasing a brand-spanking new update of its OLED range, then the display could be an object of desire in a show that's going to be more streamlined than usual.